As Mayor Sherman Lea loves to remind people, Roanoke is “a 7-time All-America City”. 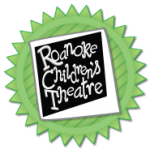 One big reason is the Star City Reads program that includes partners like Roanoke Children’s Theatre. Its helped raise the reading level for elementary school students in Roanoke City. Jeanne Bollendorf is the director of development for RCT, where the last play of the year is an adaptation of the classic book, Charlotte’s Web. That launches with public performances and matinees for school children next week. You can hear this morning’s complete in-studio conversation with Jeanne Bollendorf below – or watch it on Facebook Live.